Is for everyone who loves and wants to learn more about early music and the people performing it today. Each issue explores the passions, insights, and practical realities in the field. EMAg's broad appeal and excellent content have created an environment of strong enthusiasm and interest among our readers. 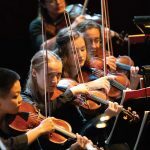 Its intriguing articles and in-depth interviews explore news and newsmakers in early music, festivals and workshops, historical perspectives, instrument makers and collections, and education. Will Crutchfield’s new program at SUNY Purchase brings historical practices to early 19th-century opera. Looking for a previous issues of EMAg? You can find more archived issues here. For more information on subscription rates and discounts through a third party vendor, please email info@earlymusicamerica.org. We welcome submissions for events, concerts, book reviews, recordings reviews, and articles. All submissions are reviewed for possible inclusion in the magazine. Looking for a great gift? A subscription to EMAg makes a wonderful gift for any occasion. 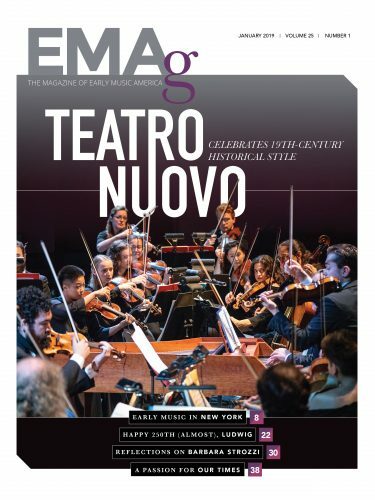 We are happy to provide you with one complimentary digital issue of EMAg, The Magazine of Early Music America. For information on single and/or archive issue sales, please call 412-642-2778 or email info@earlymusicamerica.org. Based on availability.